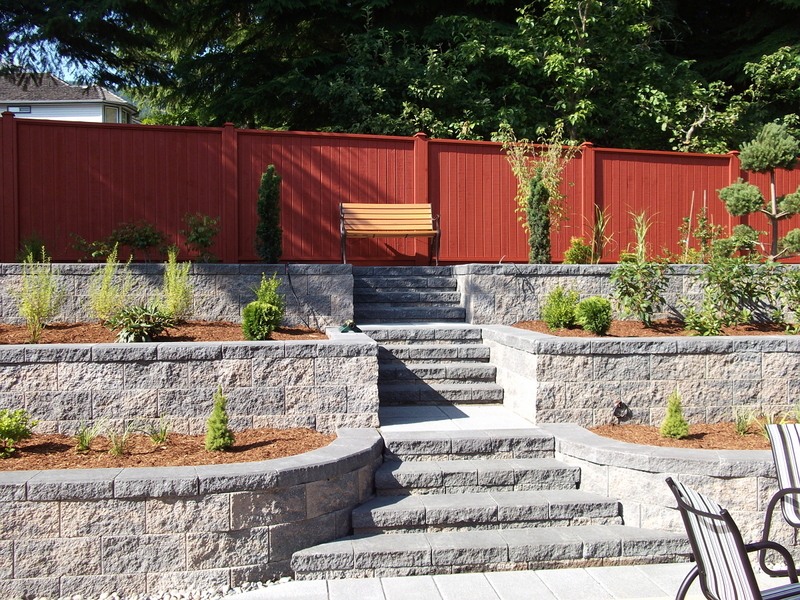 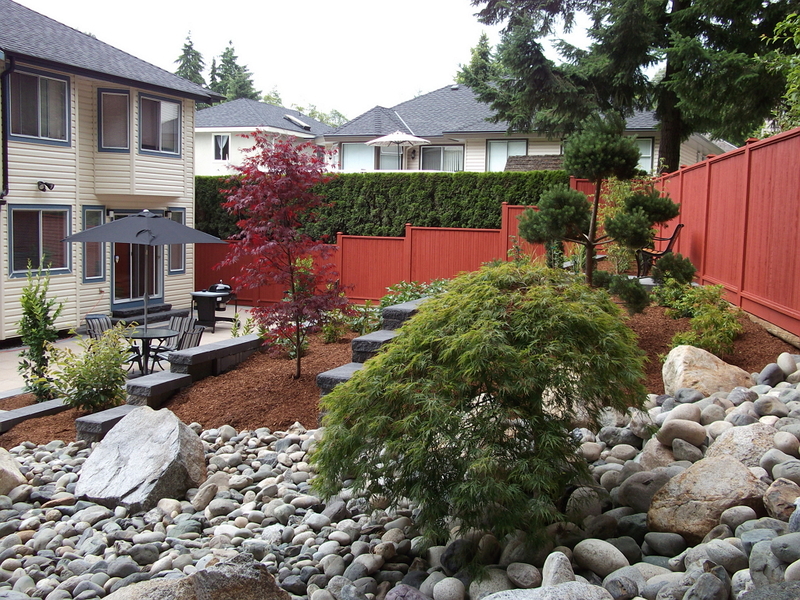 The homeowners contacted us to renovate their landscape, which included eliminating all high maintenance plantings and grass. 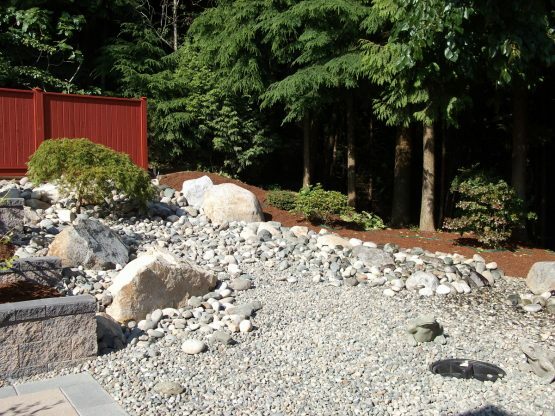 They are bordered by a green belt next to a creek and wanted a mixture of outdoor living space and a natural look to compliment the green belt. 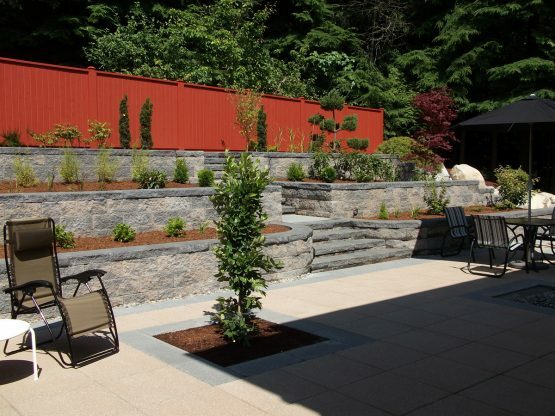 We worked easily with them to come up with a tiered back area, a large patio and a dried out river bed look next to the ravine. This worked out well as when we dug the large slope down to incorporate the retaining walls and stairs we found large boulders easily moved by our equipment into the river bed area, saving them the cost of disposal. 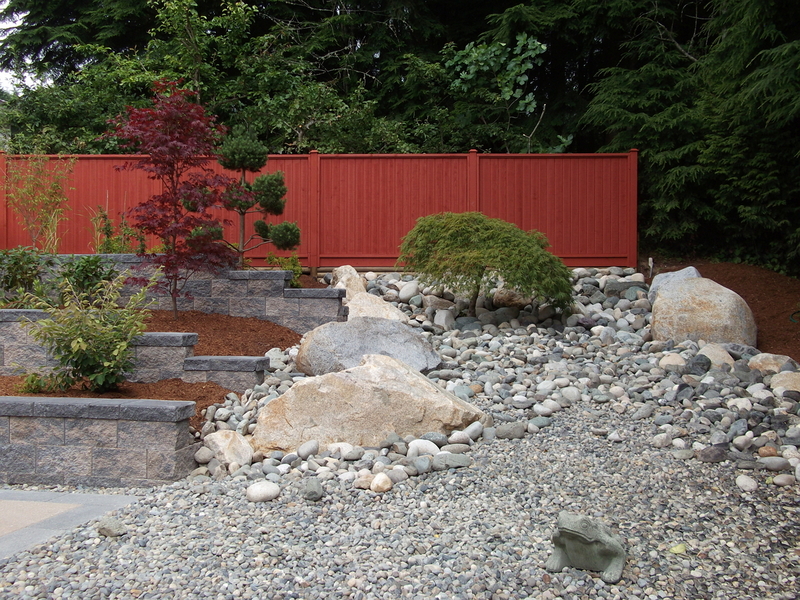 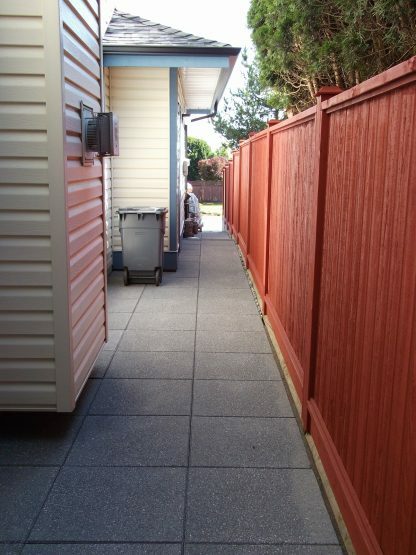 We also paved the side of the house and installed a paving stone driveway with a rock garden in the smaller front yard. 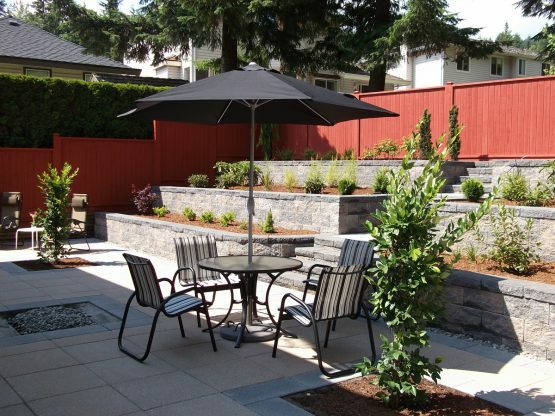 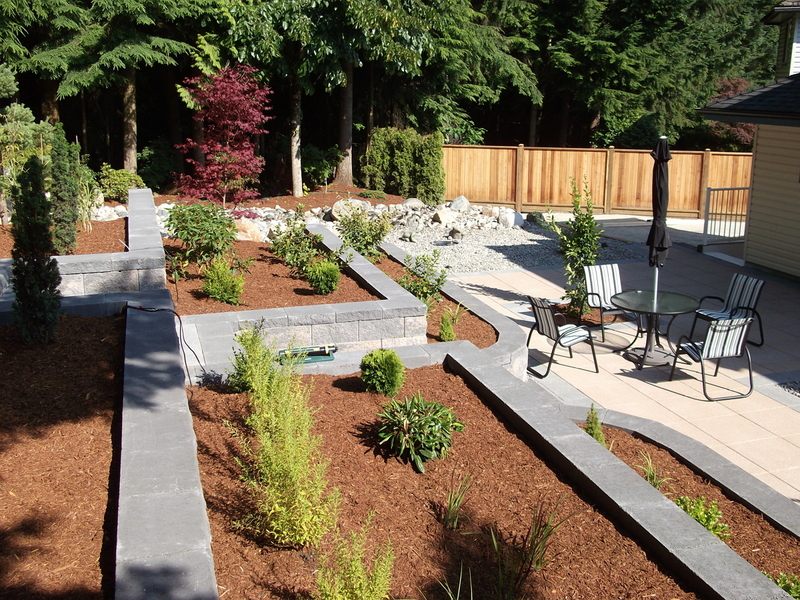 This design also includes outdoor lighting and a small fountain in the patio. To also break up the large patio look, we chose a different color border and two areas for evergreen flowering shrubs in the patio itself. We are pleased to say these clients are very satisfied with the results as we were on time and in budget. 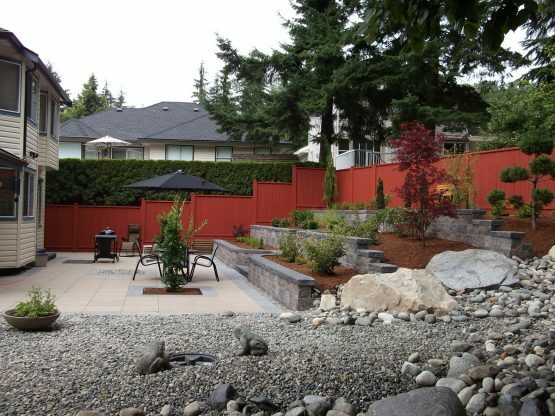 This project was completed in 2011 and we still remain in regular contact with them as they have become a valued referral client that shows the work done by Nicholson Landscaping is built to last.